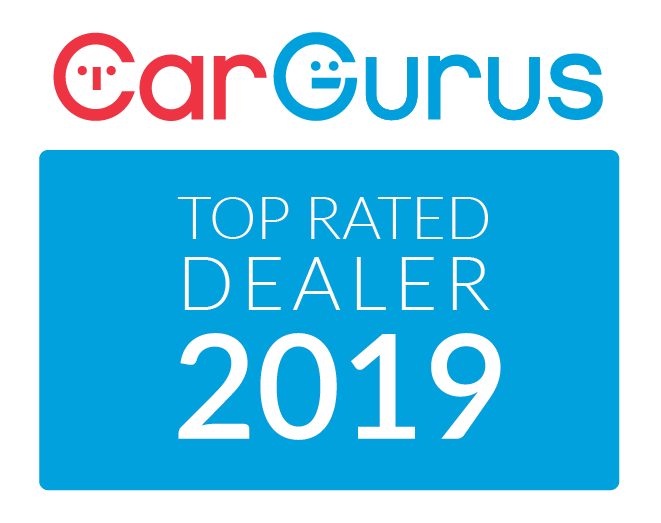 5 Star ratings for the Ford F150, Edge, and Mustang! 2015 has been an incredibly exciting year for fans of the Ford Motor Company. The company has really shaken things up across the line up this year with the introduction of a ton of new technology for driver amenities and vehicle safety features. Ford entirely redesigned how the Ford F150 and Mustang are built from the ground up. Even the increasingly popular Ford Edge saw a fresh design for 2015. That’s not to mention the brand new, 50th anniversary, 2015 Mustang, which received several major upgrades for this year. What’s most impressive about this year isn’t the sheer amount of aesthetic and technological advances that Ford’s talented engineers have made in terms of vehicle safety features. It’s that each of these models were a redesigned, and afterwards their safety ratings went up across the board versus the previous year – making Ford’s line up some of the safest cars in Canada. This is a really big deal for Ford, as each model saw major departures from previous years. The Mustang is on an entirely different frame than it had ever been on previously and the F150’s aluminum body is the first of its kind – within both the Ford fleet and the world. The Edge saw a complete tear down and redesign that featured the introduction of a ton of new technology, as well as new power trains and a slight increase in overall size. Each of these cars have seen some major improvements, but to have their safety score rise as well is a major win for Ford. So what made these cars receive such high crash test ratings? Let’s take a look. Beginning with the F150, this truck had a myriad of improvements, starting with the introduction of a military-grade aluminum body. The aluminum body change allowed for the total weight of the truck to drop by around 300 kg. The reduction in weight may sound scary for a crash test, but by comparison, the 2014 F150 only scored an average of 3.5 stars for impact on all sides of the car. The 2015 model, however, scored perfect 5’s all the way around. To make the 2015 F150 safer than the 2014, the Ford Truck team reinforced the aluminum body with high-strength steel, which led to improved stiffness, durability, and safety. New for 2015 is Ford’s new, now patented, 12-corner front crush horn, designed to dissipate more energy from a frontal impact. This development allows the trucks structure to manage the crash forces in such a way that it keeps most of the force away from the occupants in the cabin. The 12-corner front crush horn is just one of 31 new safety innovations that led to the highest possible score from the National Highway Traffic Safety Administration that the F-150 has ever received. Another one of the safety innovations that Ford has implemented is Curve Control, which will slow a vehicle down when the car senses that the truck is going too fast for a particular curve. Ford has also included inflatable seat belts in the SuperCrew cab. This is a segment first! One improvement that we know is going to make a lot of people happy is the new 360 degree camera and the collision warning system, which takes advantage of the adaptive cruise control sensors on the front bumper to warn you with sounds and lights of an impending collision, and will pre-charge the brakes. They’ve even added trailer light monitor, which continuously checks the connection circuits of the lights on trailers to ensure a proper linkage. This, in combination with the best in class towing power, makes the new F150 one of the absolute best cars for hauling in the world. Overall, the 2015 Ford F150 is light years ahead of the 2014 model. It’s more powerful, lighter, safer, and is the most technologically advanced pickup truck on the market. There’s a reason why it’s one of the most popular cars ever made – and Ford is showing that they have no intention of letting that title slip. Celebrating 50 years of continual production, the 2015 Mustang saw its first ground-up redesign in about 10 years. Built on a brand new frame, the S550, this years ponycar has already been named the safest Mustang ever released. This is also the very first Mustang to ever be offered without a solid rear axle, which has been replaced with an Independent Rear Suspension system. This swap has significantly increased ride and handling performance of the Mustang at speed on curvy roads. In terms of safety, however, the Mustang is already at the forefront of the pack. After receiving literally double the amount of airbags and a host of additional safety tech than the previous model, the 2015 Mustang actually surpassed the 2014 crash rating – making it significantly safer than last years model. Ford didn’t just double the airbags and call it quits, though. The Ford team developed some remarkably unique additions for this year, which include side curtain airbags that will protect your head in a collision – regardless of being a convertible or a coupe. This is also the first Mustang to receive a passenger side knee airbag, which was cleverly designed to be 75% smaller and 65% lighter than conventional knee airbag systems. Other examples of the safety tech added to this year’s Mustang include Ford’s AdvanceTrac traction control system with Electronic Stability Control, and an adjustable electronic power assisted steering system. Similar to the F150, the Mustang will also come equipped with a rear view camera system, SYNC 3, HID headlights, Ford’s very own Blind Spot Information System, and the Forward Collision Warning system found on the F150. The vehicle will also include cross traffic alert and crash sensors on the front, sides, and the rear of the car. The Mustang features an additional safety system for if the worst should happen. In such an incident, the SOS post crash alert system will notify the police and first response teams to your location. To further protect drivers Ford equipped the Mustang with the Ford MyKey system. It allows the owner to limit the top speed and max volume of the speakers to ensure that new, or questionable, drivers aren’t biting off more than they can chew. The MyKey system will also allow you to prevent other drivers from changing any of the settings, like traction or stability control, which is perfect for the worrisome parent or gearhead who doesn’t want to risk ruining their brilliant new car. 5 stars for the Frontal Crash! All of these creative safety precautions added to the Mustang for 2015 have allowed for the ponycar to dominate the National Highway Traffic Safety Administration’s rigorous tests and walk away with 5 stars. The ponycar received five stars in the front crash test, side crash test, and rollover test. No other vehicle has come close to matching the Mustangs safety ratings this year. The Edge is featuring an updated look for 2015 too! The upgrades from 2014 to the 2015 Ford Edge is pretty astronomical. Aside from the revolutionary safety tech that Ford has added, the Edge was built smarter for this year’s release, enabling the overall safety score to rise from a 4 to a 5 from 2014 to 2015. Some of the changes that enabled such an improvement include a lengthening of the overall size of the car, the addition of high-strength steel (similar to that found on the F150), and just an absolute tremendous amount of tech. Ford’s redesign of the Edge had a very specific focus on safety – and it shows. Starting with the AdvanceTrac system with Roll Stability Control, which takes real-time measurements of roll rate, roll angle, yaw rate, and lateral acceleration, so that the Ford Edge can make minor adjustments to ensure that the driver remains in full control of the vehicle at all times. Alongside the AdvanceTrac, the Ford Edge also comes with the same collision warning technology, blind spot monitoring, and lane assist that this year’s model of Mustang and F150 come with. Beyond the slew of semi-autonomous technological additions to the crossover, Ford also added inflatable rear seat belts, and an active glovebox knee airbag similar to that found in the new Mustang. The 2015 Edge is also the very first Ford to receive an adaptive steering system, which is found tucked away into the steering wheel itself. This technology was designed to help improve the steering effort required by drivers based on the speed of the vehicle. For instance, at low speeds, the system requires the driver to expend very little effort, which allows for maneuvers like parking to be easier than ever. When the vehicle approaches higher speeds, the adaptive steering system smooths out the steering input to make the car feel more stable. Speaking of higher speeds – this years Edge comes standard with Ford’s EcoBoost 2.0 liter, turbocharged, four-cylinder, with other options as you move up in trims. Safety isn’t the only reason to check out the Edge, though. Beyond all the attention to making sure your precious cargo arrives at your destination safely, the Ford Motor Company has made special attention to ensure that it will arrive in the lap of luxury. Everything about the interior of the new 2015 Edge has been redesigned to be more comfortable, more attractive, and with the change of material — longer lasting. This years Edge was made with a lot of forethought. Ford’s team paid a lot of attention to the little details, and it shows. This year’s lineup for Ford cars are incredible. The Ford Motor Company has put a tremendous amount of working into providing the highest quality vehicles possible. As a result, they’ve created some incredibly safe and technologically advanced vehicles. There are few, if any other, car makers that have put the extra effort into ensuring that their fleet are as well outfitted or protected as the new Ford line up. So what are you waiting for? Contact us today about taking either the Ford Mustang, Edge, or F150 out for a test drive! We’re ready and waiting for you to give us a call.